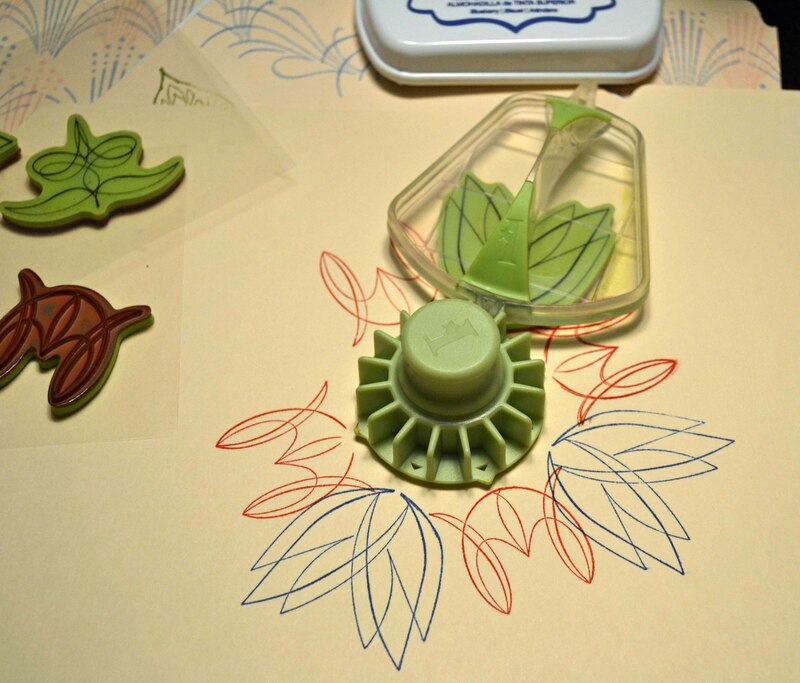 When I first saw the Inkadinkado StampingGear at the Craft & Hobby Association Show, I thought the idea was cool — creating designs by stamping around a tool that had slots in it. 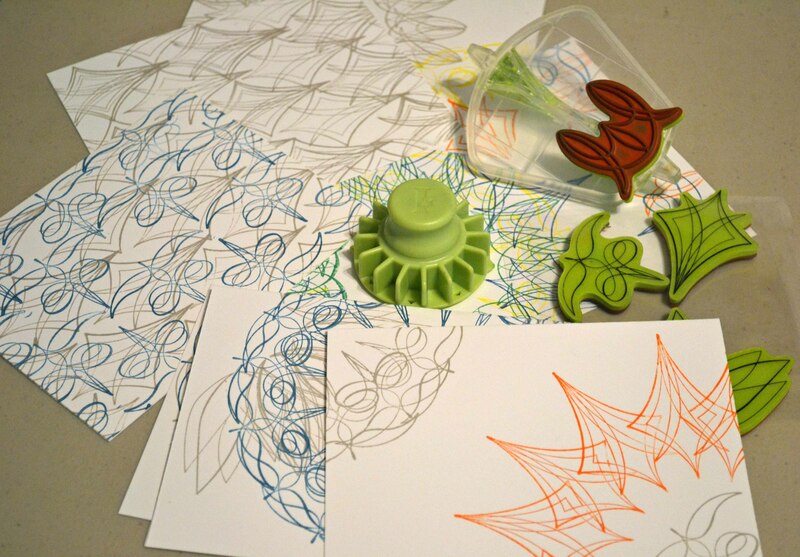 It reminded me of my old Spirograph. 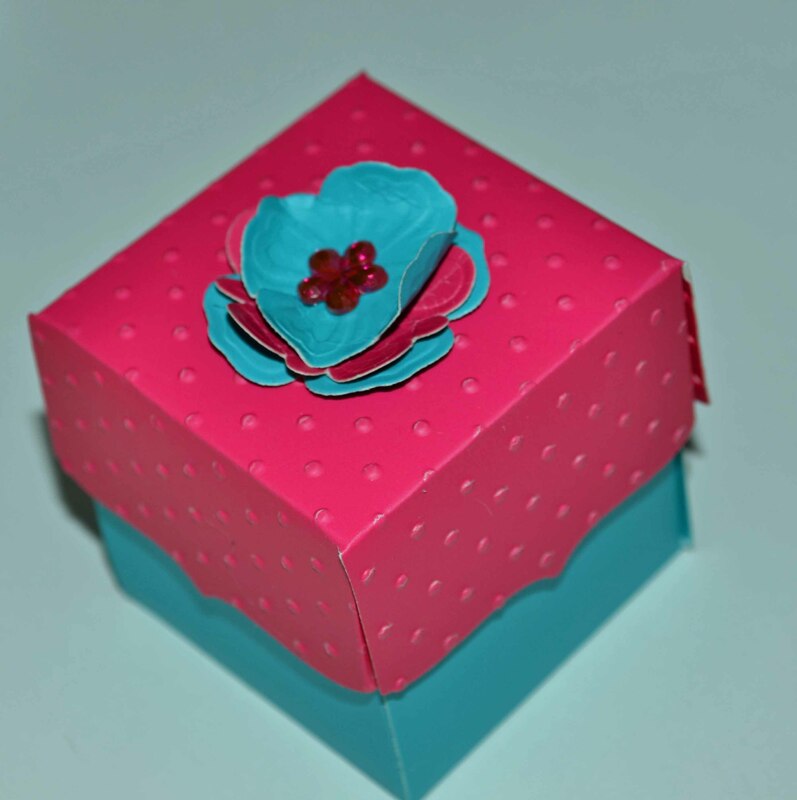 But the gear seemed too large for me, suitable for 12×12 scrapbook pages, but not applicable to my card marking. Even when I saw the smaller version, it didn’t immediately wow me. Until I started to play. And then I found it addictive. 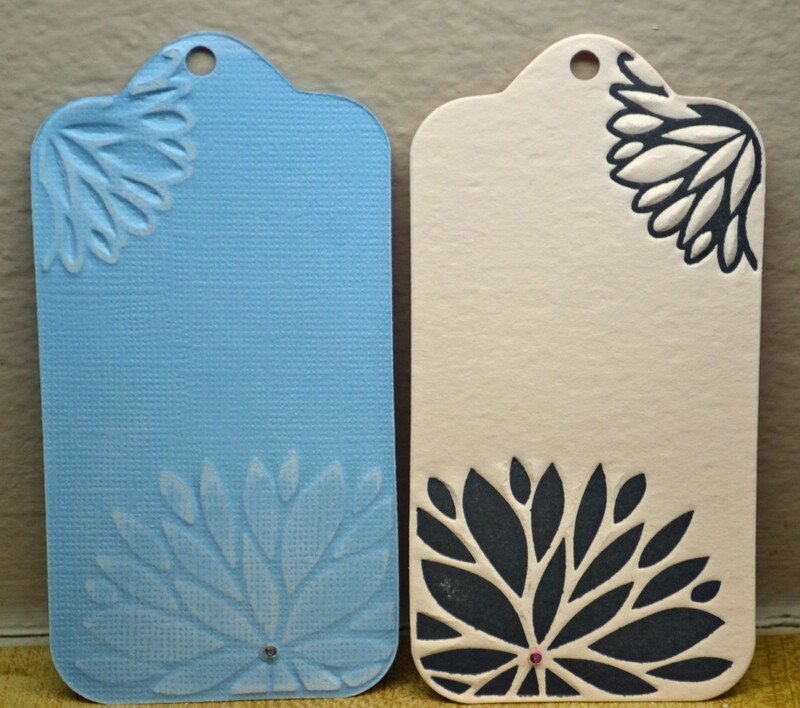 There is a Zen-like quality of just stamping randomly, changing colors, switching out the images… Don’t think, just stamp! You never know what you are going to get. And that is part of the charm. 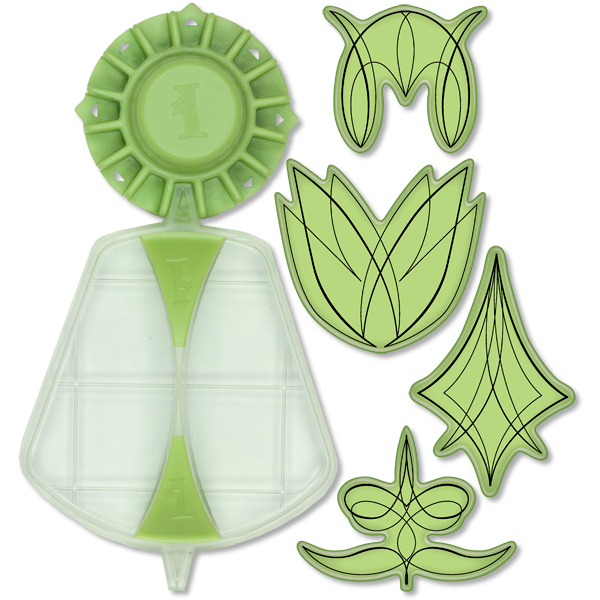 The green cling-mounted stamps go on the paddle handle. Put them on any way you like. Then insert either end of the paddle into one of the slots on the “gear” and stamp around the knob! 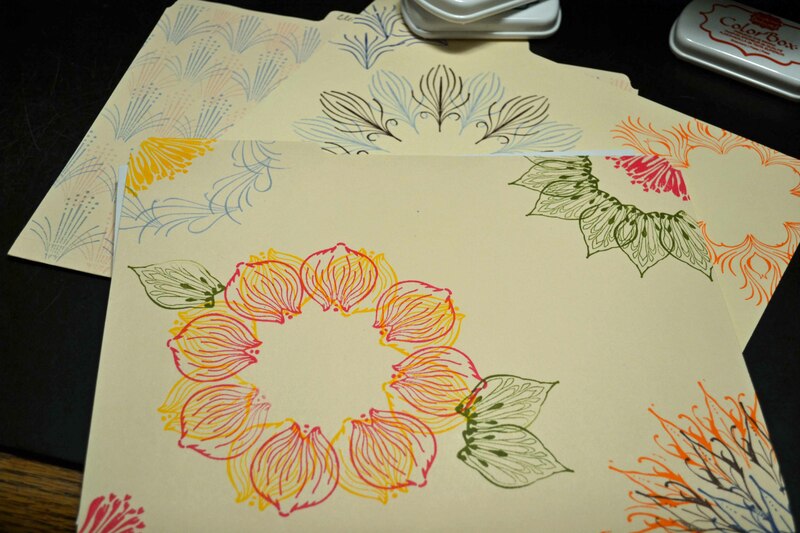 I used ColorBox Stephanie Barnard dye ink for the fast drying, vibrant colors. In my next post, I’ll show you what I’ve done with them! In the meantime, take a look at the helpful video on the EK Success website (or direct link). Thanks for stopping by. Paper above is from Core’dinations. 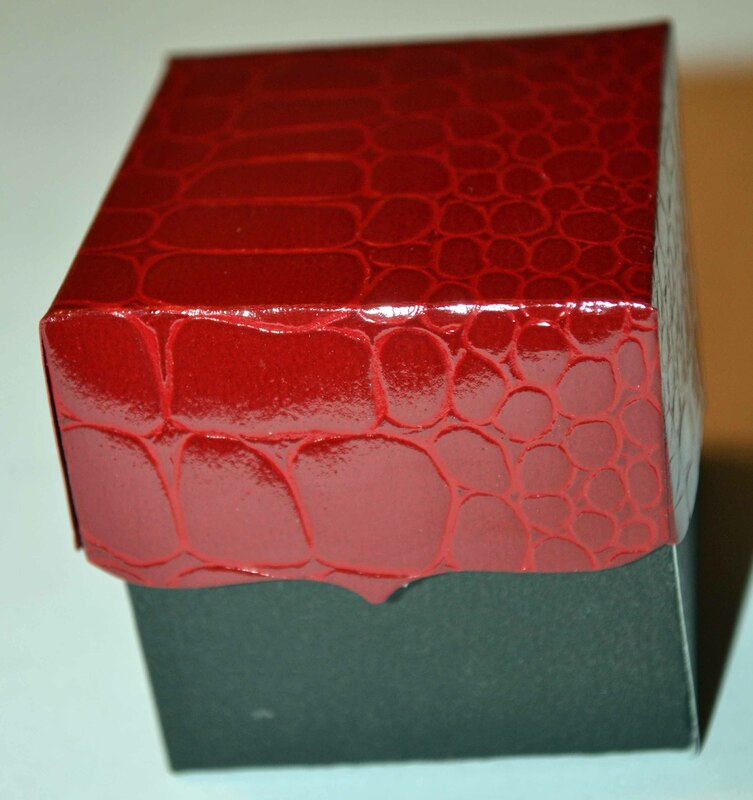 The red leather-looking cardstock below is from an old stash … sorry I don’t remember the manufacturer. 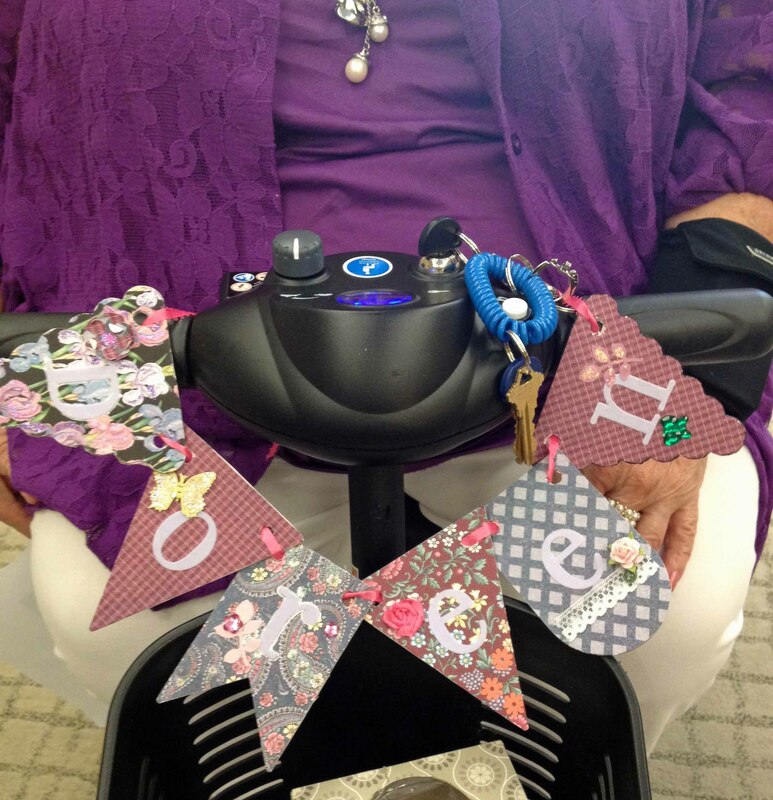 Fabulous Fun Friday — Still Texturizing! 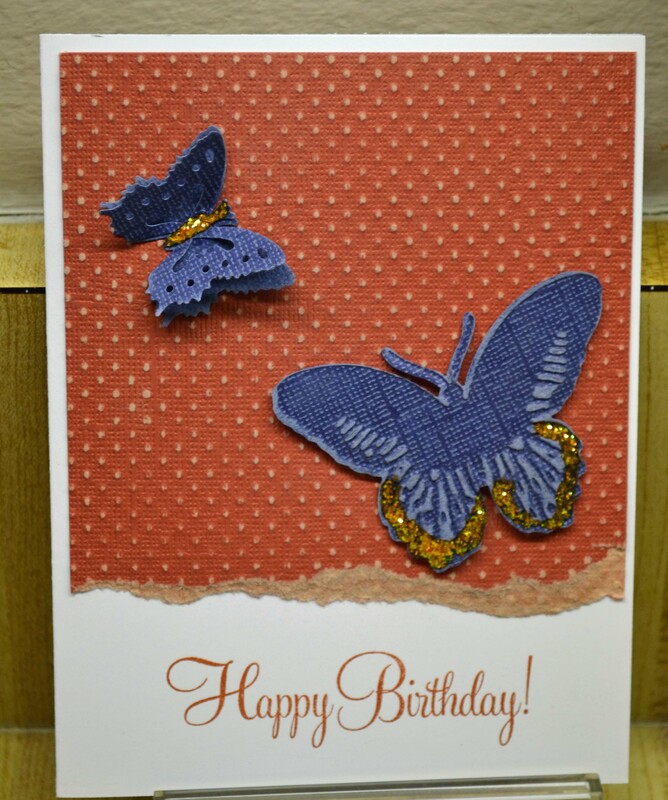 I like the masculine feel of this card — so much pizazz with such little effort. 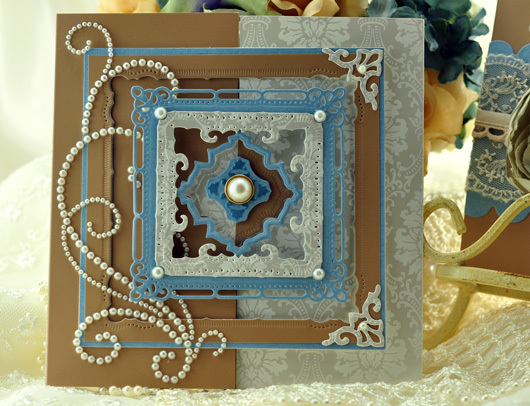 Core’dinations paper, run through Tim Holtz’ Gridlock Texture Fade Fade. 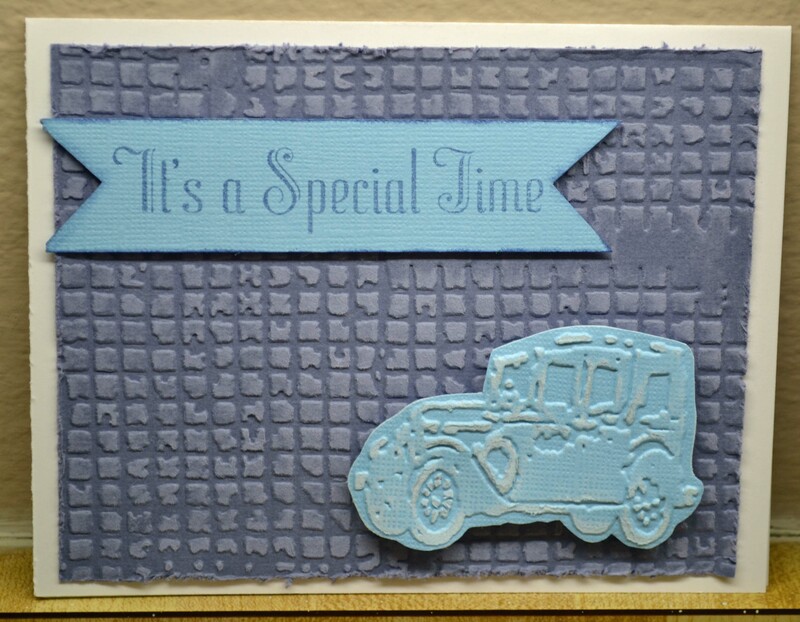 The car was dry embossed using Tim’s Artful Muse ATC-sized embossing folderr, then cut out and mounted on foam dots. Sentiment from Hero Arts. 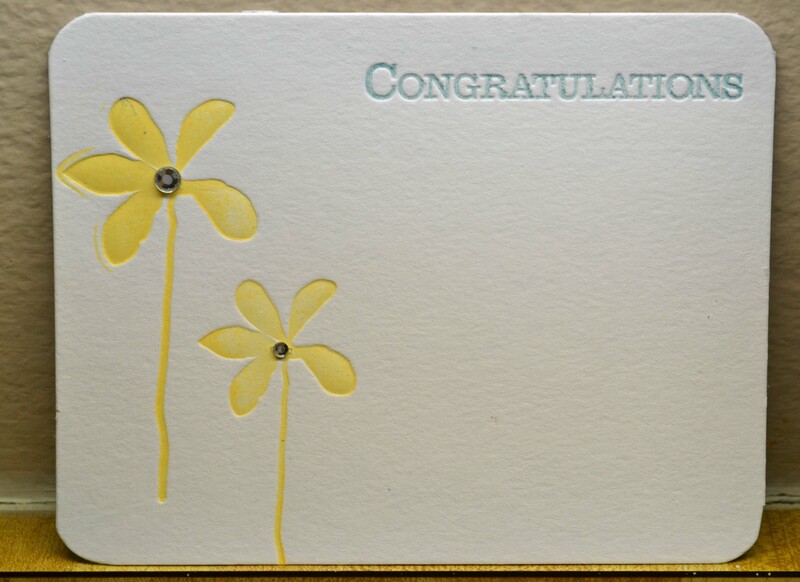 The pretty dots were already on the Core’dinations Jillian paper! I just sanded them lightly to bring out the core color. 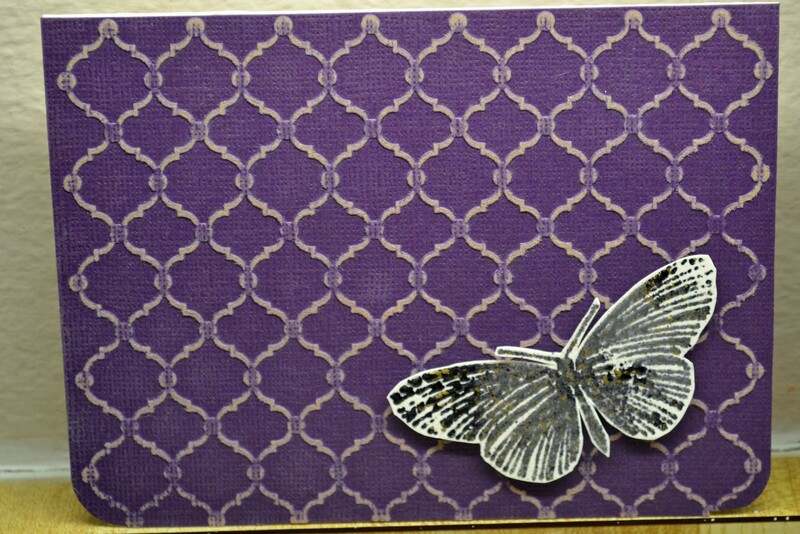 The larger butterfly is a Cuttlebug die and embossing folder, the smaller butterfly is a three-way punch from EK Success. Love the dimension! Sentiment from Close To My Heart. Stickles for sparkle! I have only began to scratch the surface of texture! Today is all about my experimentation with letterpress. Letterpress is so old-school, so rich, so yummy! 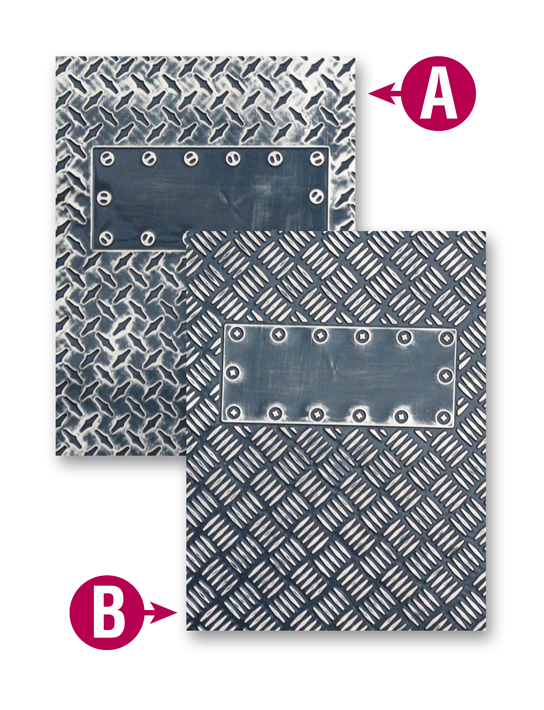 Unlike heat embossing, which gives a raised surface, letterpress “de-bosses” or presses INTO the paper. The best papers for letterpress are those that are a bit thicker. The letterpressed image should not show through to the other side. Is that fabulous or what? So lush! 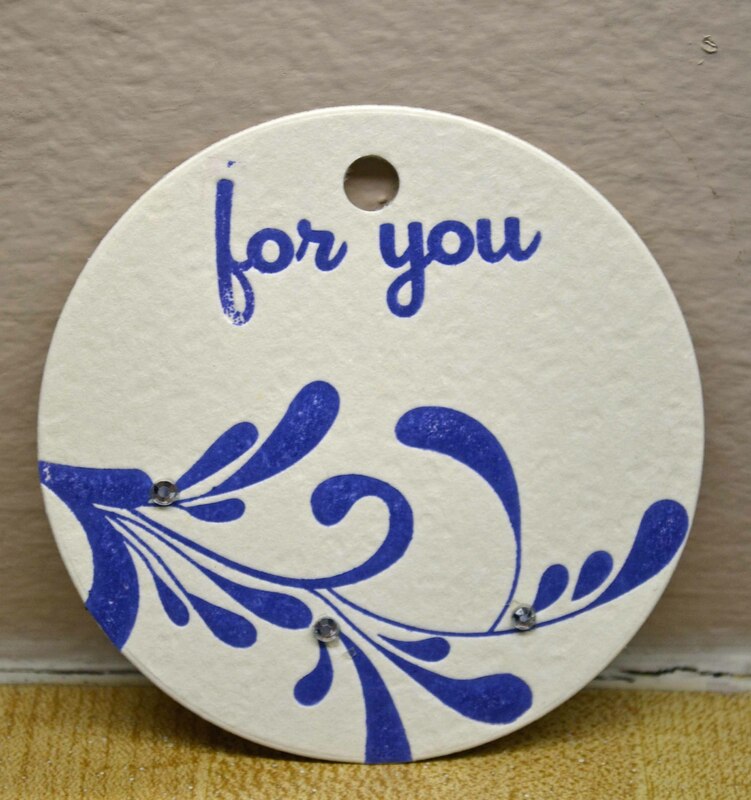 Although special, thicker letterpress ink is suggested, I just used some pigment inks because I wanted the colors. Am I done? No way! Stay tuned for more texture fun. Last week I mentioned my explorations in texture. When I get a writing assignment, I tend to immerse myself in that process or technique. The more I play, the more I love whatever it is I’m doing! (Yes, I am THAT fickle!) 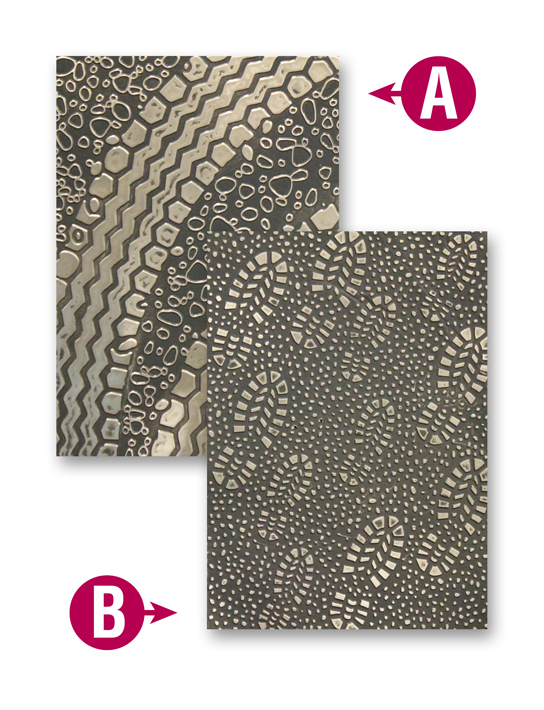 Writing about texture for the October issue of Crafts ‘n things magazine was no exception. 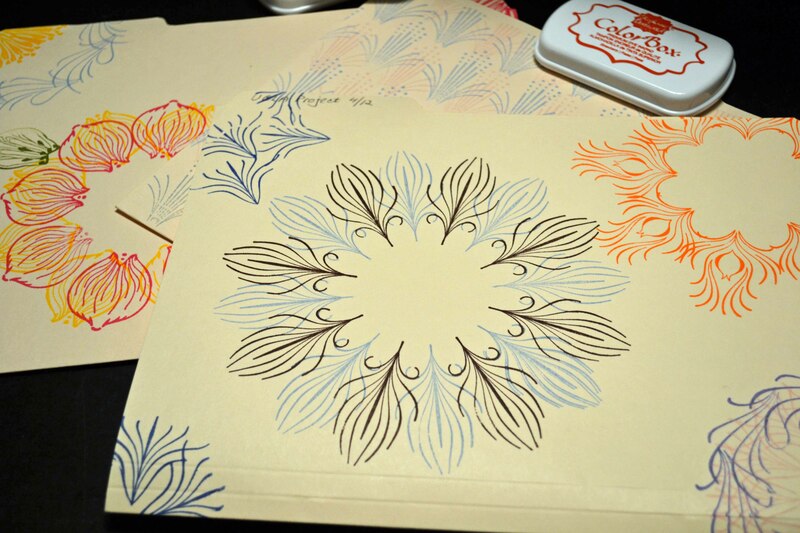 I got to play with embossing folders, specialty papers and letterpress. I am one lucky gal. 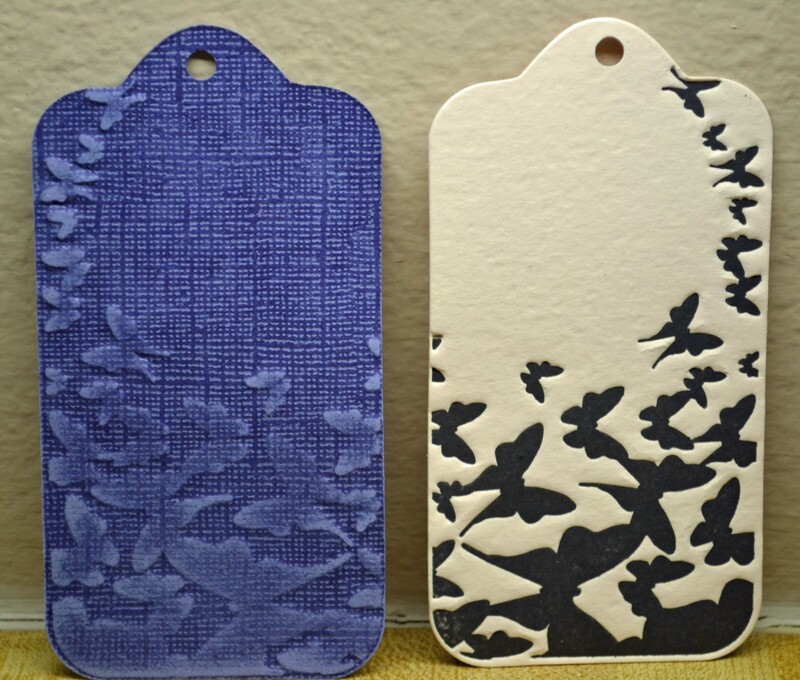 First up are some tags and an ATC made using embossing folders. 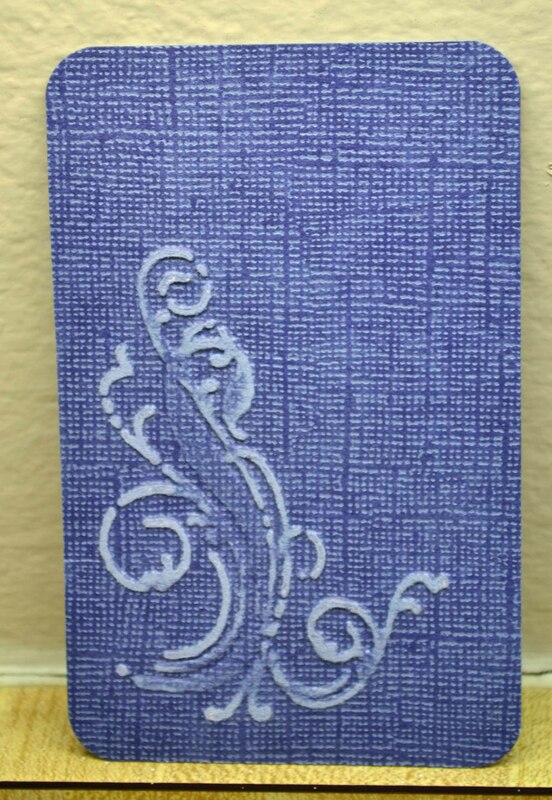 This ATC (unfinished) uses Core’dinations paper (love the built-in texture already on this paper; then when you emboss and sand you get the white core for more definition.) 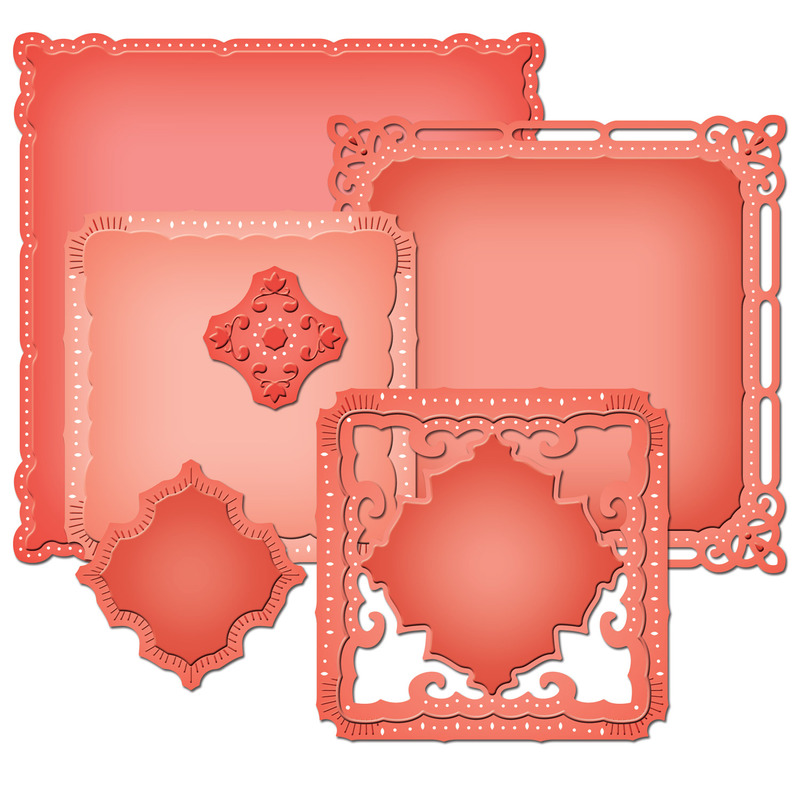 The embossing folder is from Tim Holtz Alterations, French Connection (for Sizzix) and is designed specifically for the smaller scale of an ATC. 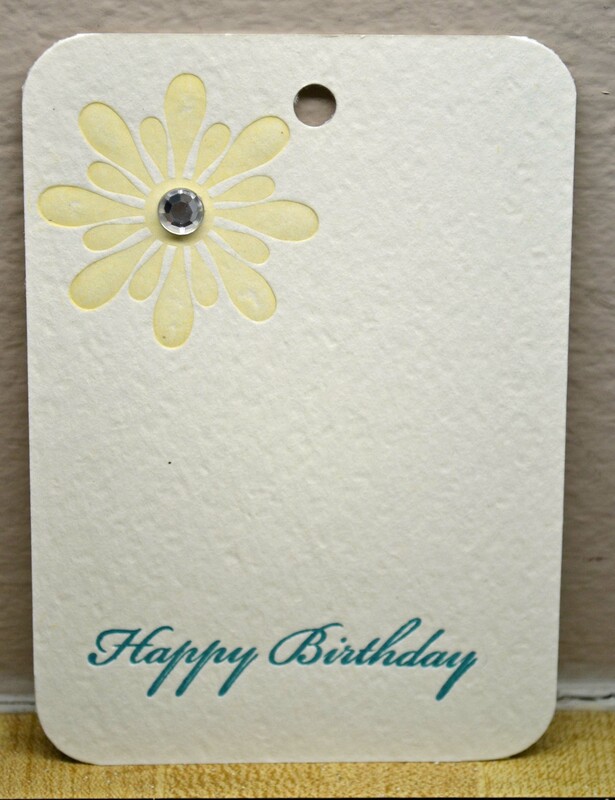 But wouldn’t it make a pretty additon to the corner of a card? 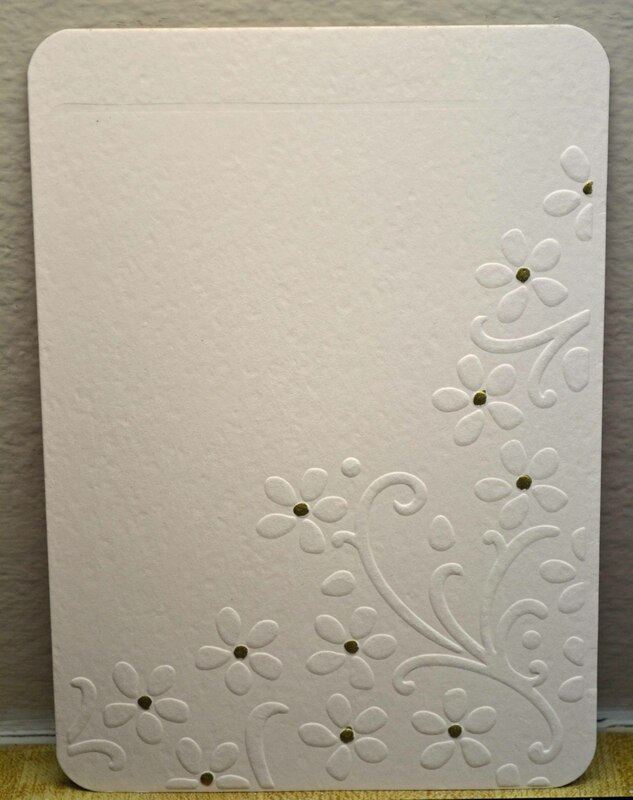 Same paper (but in tag form) with the addition of the beautiful Elegant Bouquet embossing folder from Stampin’ Up!. 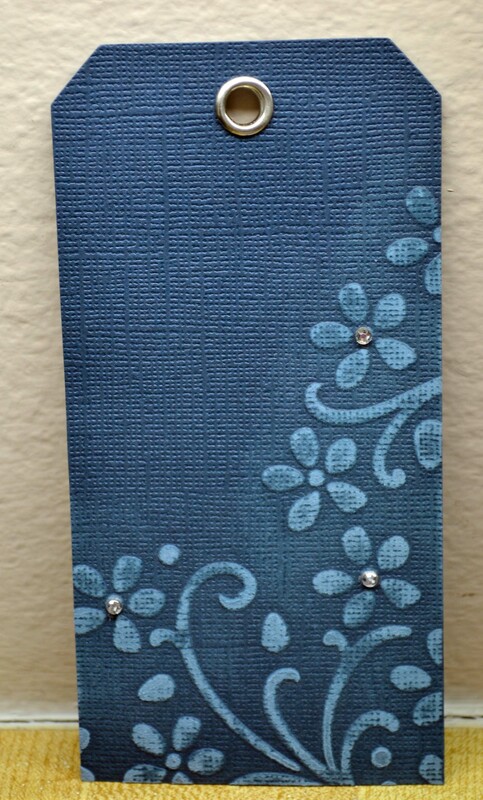 I love this folder because the pattern is just in the corner, leaving you plenty of stampable space. And here is that same folder, but on white. Yum. Stay tuned for more texture! 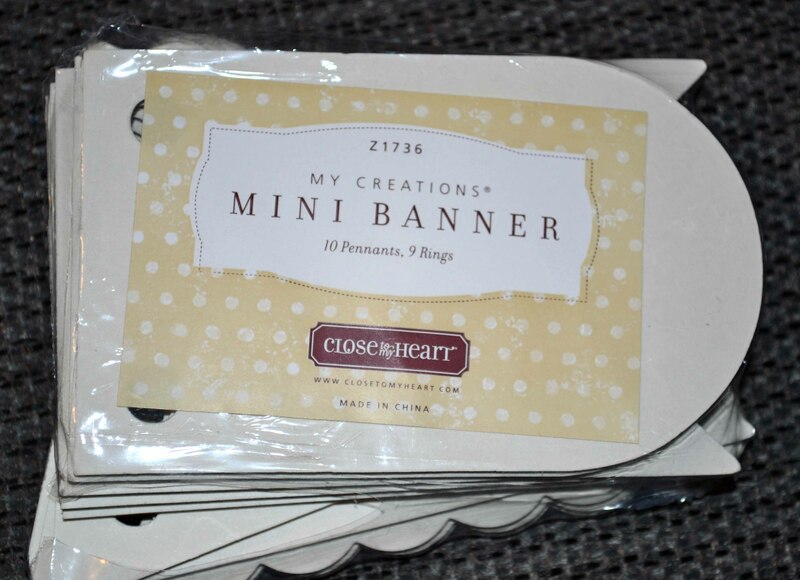 Fabulous Finds Friday — Bannerific! Oh, my, I have been quite absent here, haven’t I? 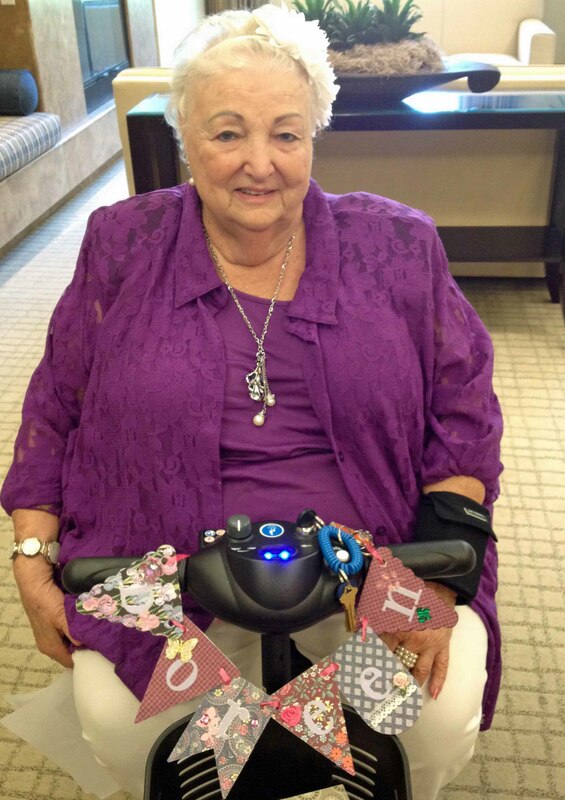 It was such fun to see the delight on her face, and fun to see her tool around with my banner front and center.